Please what is the Price for the registration?. pls sirs how much is the form. 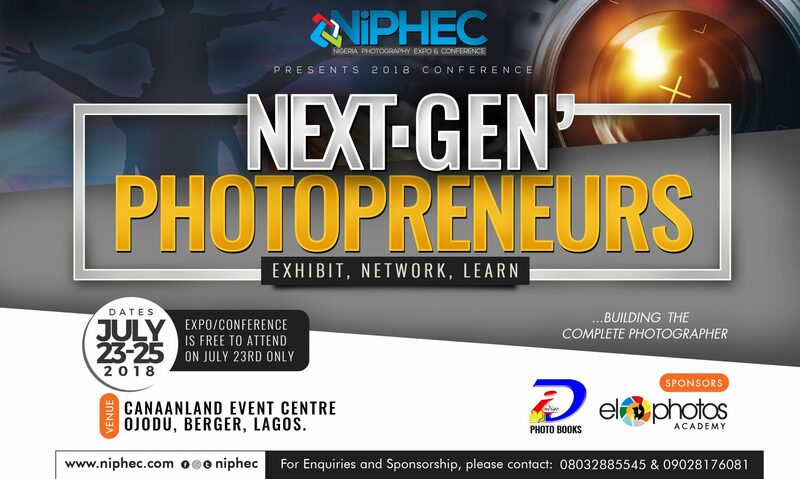 NIPHEC has been a great initiative and an inspiration as well as a great rallying point or convergence for us as as a unifier either as hobbyist/enthusiast or professionals. Quite commendable as an initiative. In furtherance of this greater time must be dedicated to enlightenment campaigns on the role of photography as a noble professional. There must be vigorous campaigns which can be scheduled for quarters (Q1, 2, 3 and 4) of a year to allow for more convergences. Partnerships with instrument and work tools with the likes of Canon should also be considered to alleviate the economic burden on practitioners. We should also foster deeper partnerships with government at various tiers. seeing this seems to be a nice and educative seminar..
It’s good to know that trainings like this is happening in Abuja. I just got to know about this training. I want to know if I am still eligible to register for the training on lighting for portrait by BigH in Abuja seeing that it is already past 14th April. How does one pay for the photo walk…and where is the rally point in abuja? NIPEC is really doing great. We hope that this photography programme would be a very good opportunity to all photographers in this city and more especially for those who attend the programme.